Distinguished alumna and a 1996 National Scholar Dr Arusha Campbell-Chambers will present the Girlsâ High School 104th Anniversary Lecture this Thursday evening at Frenches House. Dr Campbell-Chamber received her Bachelor of Medicine and Bachelor of Surgery degrees from the University of the West Indies Mona Campus, graduating with honours in Anatomy, Biochemistry, Community Health and Pharmacology. Dr CampbellâChambers gained her Master of Science Degree in Dermatology from the prestigious Kingsâ College in London. She is an International Fellow of the American Academy of Dermatology and attained Board Certification in Aesthetic Medicine from the American Academy of Aesthetic Medicine. Dr Campbell-Chambers is the current vice-president of the Dermatology Association of Jamaica and is a member of several other medical and dermatological organizations. This outstanding Vincentian founded and operates her private clinic, âDermatology Solutions Skin Clinic and Medi-Spa,â in Jamaica. Dr Campbell-Chambers is passionate about empowering women; she has given many lectures and has appeared on television and radio to educate the public on matters of skin care, health and beauty. 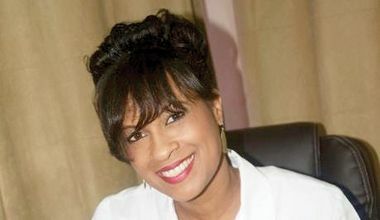 She is a regular contributor to the Jamaica Gleaner newspaper in her âSkin, Hair and Nail Healthâ column. The lecture will be held on Thursday, May 7 at Frenches House and begins at 8 p.m.